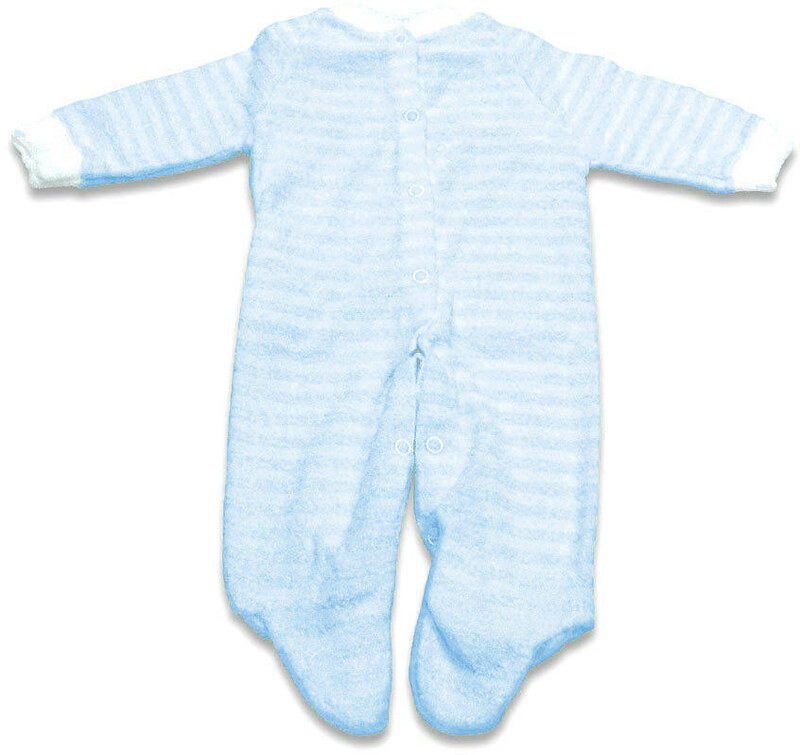 This blue striped sleeper is made of a comforting extra heavy terry fabric with shaped feet and full length snaps. This sleeper features two way stretch that stretches gently when your baby moves. Buy 1 for $3.99Buy 2 / Save $0.21!Buy 3 / Save $0.80! This item is sized for children between 0 and 6 months or up to 14 pounds in weight.